can you see the red? Dimitrios (ATHENS, Greece) on 2 May 2011 in Plant & Nature. This is a beautiful image, Dimitrios - so uplifting! @Scene by Sharon Photography: your kind comment is highly appreciated, many thanks, take care Sharon. These are poppies !!!!!! Beautiful carpets and magnificent angle shooting. Good day. @Tede: have a good day too Tede, regards from Athens. I can see those red poppies among all those beautiful daisies. 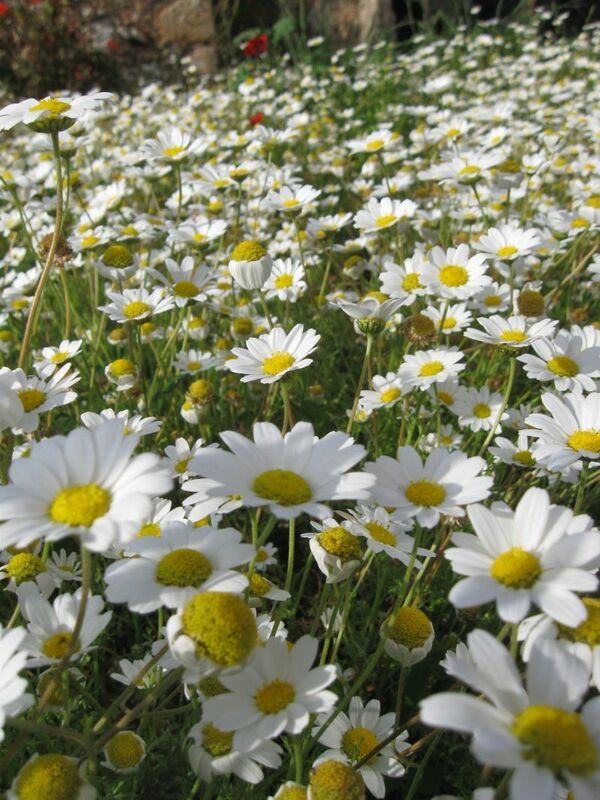 a beautiful carpet of daisies, like it !